Profiles allow members to let each other know what aspects of costuming interest them. They also enable members to locate those with similar interests or needed expertise. To set up a profile or change your current one, send 30-70 words about your costuming interests, a ~100x100 pixel head shot and optionally your costuming related URL to: webmaster@siwcostumers.org. Contact other members through our group. Note: Members showing the magnifier icon have published articles in The Virtual Costumer. Click the icon to get a clickaable list of the articles. Tonya Adolfson (Idaho) AKA Tanglwyst de Holloway, published author Tonya has been a professional costumer since 1985 and has worked in the costume shops of Southern Utah University and the Utah Shakespearean Festival. She has done wigs, make up, props and movement for the stage, and turned her impressive set of skills to teaching at Society for Creative Anachronism events. Angel Avery-Wright, Jada Avery and Raven Avery (Pennsylvania) Angel has been costuming since she was a kid. Halloween was always her favorite holiday. It wasn’t until she started attending conventions in the early 90s that she realized just how much she loved costuming. She started competing in masquerades and when her daughters came along on in the late 90s, well, let’s just say they were on stage before they were two years old. Angel began sewing around that time and taught herself a lot about making things. Now that Raven and Jada are adults and working on costumes of their own. Their shared main interest is learning more and trying new techniques in our next set of costumes. Babineaux Family (Virginia) Mera, Dusty, Thalen, Braeden, Clara, Kaia, and Cordelia Babineaux are also known as the cosplaying/costuming group "Shimmer and Shade Family Cosplay". Mera is a makeup artist, costumer, and master builder in multiple mediums, and Dusty is an industrial painter and thermoplastics expert. They also own a professional production studio known as Prop House 42 Productions. The children participate in family costume creation and builds, like the "IronFoam Throne" pictured in the photo, for conventions and do outreach and events for autism groups and children's charities in Virginia, the Carolinas, and Georgia. Gunther Berger (Southern California) is an honorary member of Silicon Web. He is the creation of cartoonist Greg Evans, and a continuing character in the Luann comic strip. Gunther became interested in sewing through his mother, and plans to have a career in costume design. Visit the Luann Fann web site: http://luannfan.com/. Christofer (Chris) Bertani (Northern California) is interested in historical costume re-creation centered around the English Regency/Napoleonic era, particularly uniforms, with a sideline in Science Fiction costuming from written sources. Web site: http://goblinrevolution.org/costumes/. Christina (Christy) Bertani (Northern California) trained as a theatrical costumer, but is particularly interested in re-creations of practical everyday and working class outfits that blur the distinctions between costume and clothing. Aurora Celeste (New York) is a former President and Vice President of SiW, and a past Vice President of ICG. SiW is her primary ICG membership but she maintains secondary memberships with Kansas City Costuming Guild and St. Louis Costumers' Guild. Her costuming interests are all over, but her passion is reproducing costumes, mostly sci-fi and fantasy movies and tv shows, anime and manga, and Joseph Michael Linsner's Dawn character. Visit her web site: http://auroraceleste.livejournal.com/. Melina Chestley (Ontario, Canada) is an amateur costumer in Eastern Ontario with an interest in historical costuming, playing around with some original designs and has finally delved into the fun world of cosplay. For someone who failed sewing in high school, she is having far too much fun making all the things on her sewing machine(s). Janice Dallas (Southern California) started costuming her brothers and cousins for skits when she was ten or so, and costuming for theater in 1983. By the '90's she was Costume Designer for the Sudbury Savoyards, building operetta costumes for their large (literally and figuratively) casts. When her body "fell apart" in 2000 she retired. She's most interested in Gilbert and Sullivan operetta and other period outfits built by her husband, Ron. Ron Dallas (Southern California) is interested in Theater Technology and can do just about anything involved. He's helped build vinyl and sized felt armor, made a reproduction "Cat o' Nine Tails", figured out the proportions for a proper cage hoop made from electrician's Fish Tape, and sewn all sorts of period costumes, besides being Set Designer, or Lighting Designer. 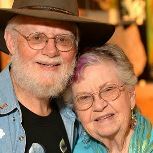 Anne Davenport (Florida) has been costuming since 1977, starting out with Star Trek and Star Wars costumes and branching out to more general science fiction and fantasy outfits with an occasional historical attempt. She is most involved with hall costuming at science fiction conventions along with masquerade costumes. Margaret Decker (Oklahoma) has a primary interest in historical costuming, but says, "one of these days I may just branch out." She started sewing in 1948 but only began costuming when she found the SCA in 1978. She's held many jobs through the years ranging from retail sales to COBOL programming, until she retired in 2003. She's now busier than ever and is on the board of her local Quilters' Guild. 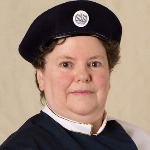 Betsy Marks Delaney (Maryland) is a fantasy and theatrical costumer, and has been involved in various forms of ICG and SiW leadership since 1987. She received ICG's 2008 Lifetime Achievement Award, and the first Costume-Con Founder's Award in 2005. When not costuming, Betsy can be found lurking around the theatre. Her first play, BUSTED, was produced for the 2010 Capital Fringe Festival. Visit her web site: http://www.hawkeswood.com/. 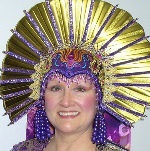 Deborah Lynn Dixon (Colorado) is a costume designer and fabricator working in the Mardi Gras industry for 30 years. She is the founder and owner of Ides of March Design Group, LTD, as well as, the creator of emBELLAtex™, a fabric modification product and process. emBELLAtex™ permanently adheres to any porous surface making it an excellent choice for embellishing sets and props as well as fabrics. Pictures of her work can be found at her web site: www.idesofmarchdesign.com. Sally Fink (Pennsylvania) is noted for her fantasy and historical costuming. She is reknowned for her large, elaborate headpieces and love of purple and glitz both fannishly and in the SCA. Sally has judged masquerades at international level and numerous regional conventions. She frequently exhibits her costumes for the public. Kathe Gust (Northern California) is SiW's Web Diva and Assistant Editor for the "Virtual Costumer". She enjoys making clothing for many historical periods, and various sci-fi and fantasy genres, with an emphasis on re-creations. Kathe has been sewing since childhood, and began theatrical costuming at university. When the "Lord of the Rings" movies came out, she decided to turn her spouse into King Theoden, and herself into Eowyn, Arwen, Bilbo, and even Gamling, branching out from there into other times and places. Visit her web site: http://celefinniel.net/. Philip Gust (Northern California) is Editor of SiW's "Virtual Costumer" and a past President of ICG. He enjoys sci-fi and fantasy costuming, and has particular interests in props, special effects, and prosthetic makeup. He also costumes in historical periods, including Regency, Victorian, and early 20th C. Phil is a beginning sewer with a fatal attraction to difficult fabrics. His favorite costume is King Theoden's spectacular battle armor from the "Lord of the Rings" movies. Rae Kuddle (Minnesota) Has been sewing since she was 9 but just recently started to make costumes for her family and herself. 2016 was her first year competing in contests but she hopes to continue doing it for quite some time. She worked in the costume shop at Coe College in Cedar Rapids Iowa while she was in College and also worked with leather at a motorcycle apparel store for 3 years. She is always looking to improve her skills and loves what she does. Bruce MacDermott (Northern California) is a SiW co-founder and has been Treasurer ever since, He was aso ICG Treasurer (2006-2009), and helped found Greater Bay Area Costumers' Guild. He has judged from regional to international levels. Bruce became interested in costumes at an early age, but only began entering Fantasy and Sci-Fi masquerades with Dana in 1983. He is the mechanical solutions component of the team, leaving the design work to Dana. Bruce and Dana received ICG's 2009 Lifetime Achievement Award. Dana MacDermott (Northern California) is a SiW co-founder, past president, past editor of "Virtual Costumer" and former SiWeb Vice President and chapter representative to the ICG Board. She has an MFA in costume design, and is a professional theatrical costume designer and craftsperson. She worked on Costume-Cons, the ICG BOD and its Guidelines Committee, and has judged from regional to international levels. Bruce and Dana are known for aliens and other weird creations. Dana does concept, design, and things that get gooey up to the armpits. Dana and Bruce received ICG's 2009 Lifetime Achievement Award. Tara Maginnis (Northern California) is a costume design specialist at Diablo Valley College, however, she is best known for her creation of The Costumer's Manifesto, one of the World Wide Web's largest, and most eclectic, costume sites: thecostumersmanifesto.com/. Richard Man (Northern California) is a past SiW President. Richard's interest in costuming comes from being a professional photographer. He married a costumer, and when their children eventually became costumers too, Richard had no choice but to photograph their beautiful creations. See his web site: http://richardmanphoto.com. Anne Merritt (Northern California) is active in the San Francisco Bay area and also a member of the Greater Bay Area Costumers Guild. She likes to do historical costuming, but admires other members' awesome sci-fi and fantasy costumes. Anne enjoys reading the Virtual Costumer, and decided to join the group. Right now she's very active in the World War I Historical Association, a local historical group. Her most recent project was a suffragette outfit. Stacy Meyn (Northern California) was doomed to a fate of costuming and prop-building as mom performed in music and theater groups and dad scratch-built intricate historical and sci-fi models. Stacy has worked on and won awards for softwear and hardwear in the Star Trek, Star Wars, BSG, Firefly, Aliens, and Jin-Roh realms, and enjoys dabbling in period costuming. Someday she will learn to sew more than a blind hem stitch. Shelley Monson (Northern California) has studied and created historical costumes since 1969. She has worked with Renaissance and Dickens Christmas Fairs, and is Costume Director for the Guild of St. George (the Court) North. She is interested in the fashion of many historical periods, but also dabbles in science fiction costuming. Shelley is a member of the Costume Society of America, the Greater Bay Area Costumers' Guild, dances with the Renaissance troupe Danserie Terpsichore, is a member of the Gaskell Balls committee, and collects 19th century fashion magazines. Karen Murphy-Linden (Arizona) began sewing at age 12, studied Fashion Design at Brooks College in Long Beach, and in 2010 was hired as seamstress for the San Diego Old Town Historic State Park. Karen has had a home sewing business for many years, where she makes a variety of vintage clothing in many time frames, from Renaissance to Edwardian periods. Tracy Newby (Northern California) is a Sci-Fi and historical costumer who wears many hats... and helmets:501st Stormtrooper Legion, Battlestar Galactia, Firefly and Star Trek. Having learned from professional prop makers in L.A., he is always happy to pass on what he has absorbed from studying at the feet of the masters -- vacuum forming, mold making, resin casting, fiberglassing and machining of steel, aluminum and plastic and you have some great hardware. He can also work with "software". Carole Parker (Northern California) is a former SiW Secretary. Carole is an amateur costumer and fabric experimenter with special interests in textiles, dyeing, and wearable art. She is also a member of The Peninsula Wearable Arts Guild. Visit her web site: http://mrbilll.users.sonic.net/Costuming/costuming.html. Deb Salisbury (Texas) is SiW Secretary. Deb is a long-time costumer who especially loves fantasy and historical clothing. She drafts the patterns and instructions for the Mantua-Maker Historical Sewing Patterns. Visit her web site: http://www.mantua-maker.com/. Elaine Swick Sims (Arizona) was doomed from birth to be a seamstress of some sort. She specializes in quilting, but can be found creating costumes & clothing as well. She has been creating and sewing since a young age, and is in the process of corrupting her daughter and son into the costumer's fold as well. Elaine is the current chapter representative to the ICG Board. Check out her web site at http://cattailsquilts.etsy.com. 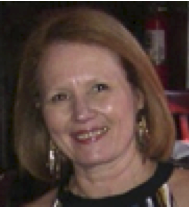 Jeanine Swick (Massachusetts) is ICG Treasurer and former SiW Secretary. Her grandmothers and mother taught her to make clothes for dolls and school at an early age. In Home-Ec, she made 3 piece suits while others figured out 3 piece patterns. She costumed in high school for theater, and later for her own teens. Her work is "period inspired" rather than historically accurate, incorporating her own creativity. She sells at regional renfaires, cons, SCA, and belly dance events. Visit her Designs by J web site: http://www.woollycat.net/. Bjo and John Trimble (Southern California) are a strong presence in Star Trek fandom and the SCA and former owners of Griffin Dyeworks. In 2010 they founded Ancient Earth Pigments showing people of all ages how to make their own historic pigments and inks. Terry Walker (District of Columbia) has been sewing for forty years but didn’t know about historical/sci fi/fantasy costuming until a few years ago. At her first convention she knew she had found her people. Terry and her husband live in Washington, DC. Leah Watts (Nebraska) did some costuming at local conventions back in the 80's and got back into sewing for herself a few years ago when her nephew got too old to go trick-or-treating. Leah freuqently competes in the historical masquerade at Costume-Con. Her other interests include: stained glass, "MythBusters", and table top role playing games (primarily Hero System).